where sometimes my tx works and sometimes I get this error. Adding a gas price %10 higher than the existing unmined transaction's gas price. Increase your nonce to one higher than the unmined transaction. "Transaction was not mined within 50 blocks, please make sure your transaction was properly send. Be aware that it might still be mined!" In my case, I think the transaction is getting stuck in limbo somehow. It's not being mined by anyone, but it's not being removed from the pool of unmined transactions. Keep in mind that web3.eth.getTransactionCount(walletAddress) will only give you the last CONFIRMED nonce. So it won't take the unmined ones into account. Replace a pending (unmined) transaction, with the new raw transaction. The error message implies that you're trying to replace a pending transaction. That's because the raw transaction you're trying to send has the same nonce as another transaction that you have pending. Since replacing a transaction is not your goal, simply increase the nonce to be one higher than your last pending transaction. You may need to track this internally, rather than relying on web3.eth.getTransactionCount(). Since your goal is to replace a transaction that is pending, you must try to convince the miners to use your new transaction. To do that, you must use a gas price that is 10% higher* than the gasPrice of the pending transaction. The quoted code adds 40% to web3.eth.gasPrice. This may not be 10% higher than the pending transaction's gas price. 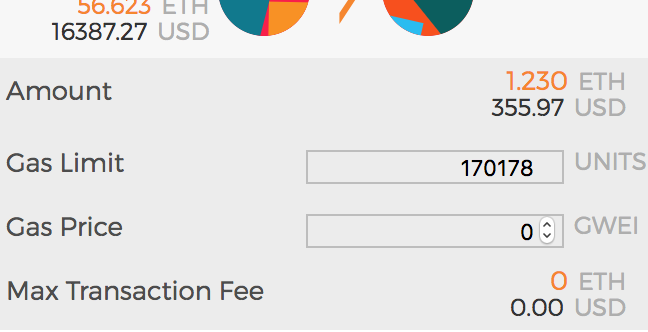 web3.eth.gasPrice may vary over time, and/or you might have set any arbitrary gas price on the pending transaction. * 10% isn't defined in the protocol, it's just how most nodes & miners implement it. Note that this is floating point math, which will have rounding errors, so I threw in an extra 10th of a percent to be sure it was over the minimum. Double check your Gas price. Even I am also setup Gas Price but somehow did applied proper Gas Price as well. One of example below screen shot. How can I replace a pending transaction with web3 v1? Can't Broadcast ethereum transaction, what's wrong with this transaction? Can I use a random number for nonce?